The daughter of Charity Clark and John Jackson, Mahalia Jackson was born in New Orleans and raised in a multi-generational home where she was surrounded by an extended family and by the music of artists like Ma Rainey and Bessie Smith. After moving to Chicago as a teenager, in 1927, Jackson quickly went from singing in a church choir to singing professionally,. Although she was influenced by the Blues singers whose recordings she was familiar with in her childhood, Jackson refused to sing secular music. She toured and recorded throughout the 1930s and 1940s, but she also took less glamorous jobs--as a laundress and as a beautician, for example--before she became a "success." That came with her 1948 recording of "Move on Up a Little Higher" sold over eight million copies--fifty years later, in 1998, this recording was acknowledged with a Grammy Hall of Fame award. 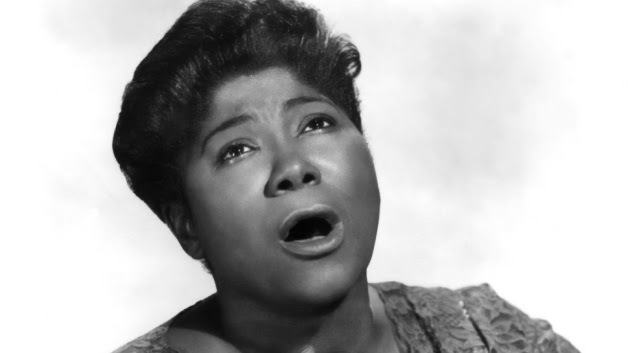 Mahalia Jackson was the first gospel singer to perform at Carnegie Hall (in 1950) and, among many other musical "firsts," she was the first gospel performer to sing at the Newport Jazz Festival (1958). 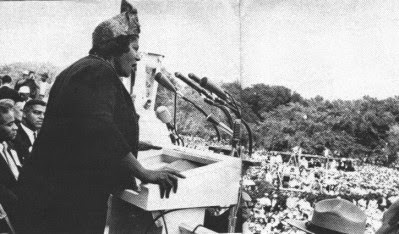 In addition to her role as a musician, Mahalia Jackson was actively involved in the Civil Rights Movement. Despite death threats, she gave a concern in Montgomery in 1956 in order to raise money to support the bus boycotts, and she was a regular performer at events sponsored by the Southern Christian Leadership Conference after its founding in 1957. 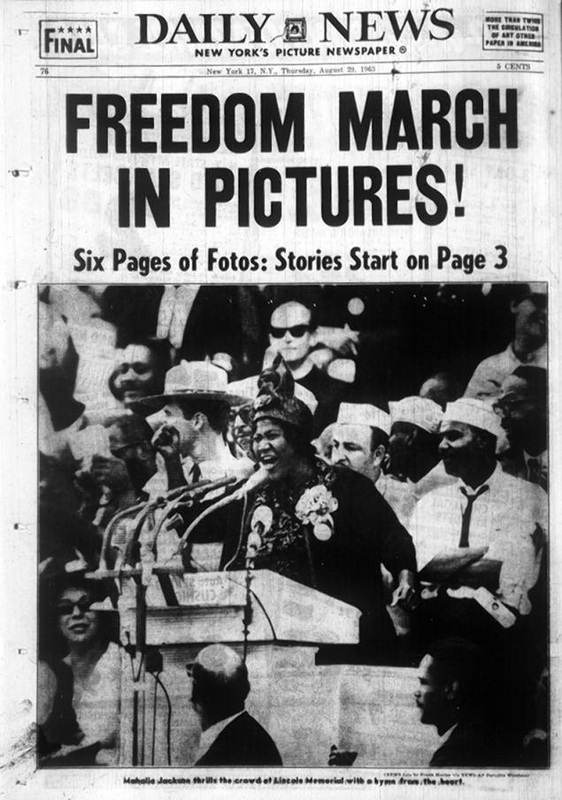 Most memorable, perhaps, was her 1963 performance on the occasion of the Poor People's March on Washington, 27 August. Five years later, in 1968, she sang at Martin Luther King's funeral. Jackson died on 27 January 1972, just sixty years old. Unlike so many in the music industry, who died in poverty and obscurity, she died a wealthy and beloved figure. She also left a legacy that continues.